Highly recommend. 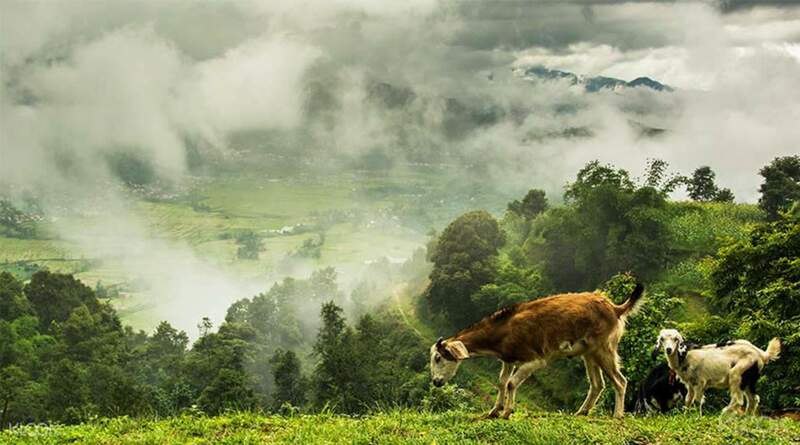 You can see a different angle of Nepal and the beauty of its countryside. 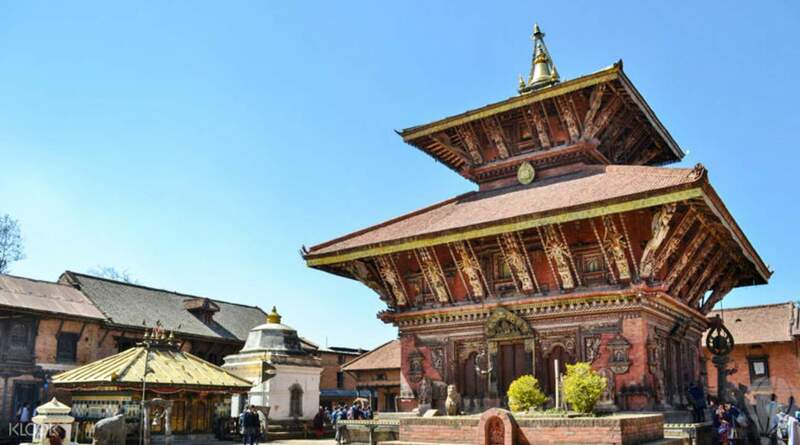 Nepal is one of the best places in the world to go trekking, and this route is a great place to start for those unused to heavy hiking, preferring a leisurely walking journey. 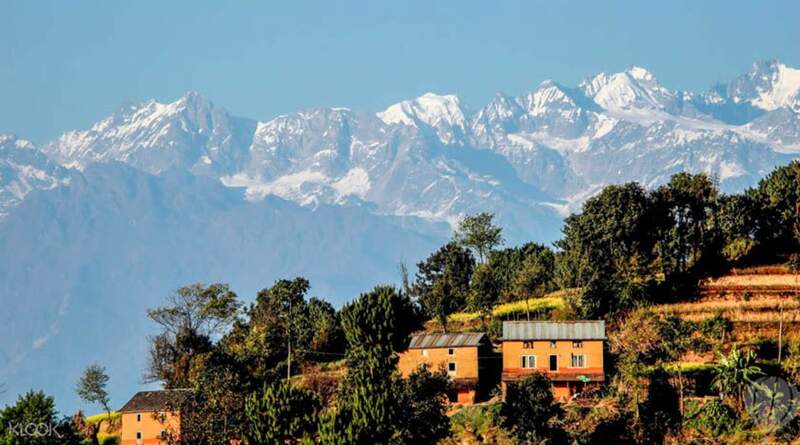 Begin your day early and drive up to Nagarkot, famed for its sunrise views. Take in the spectacular Himalayan range and glimpse the majestic Annapurna mountain range to the west and Everest to the east. 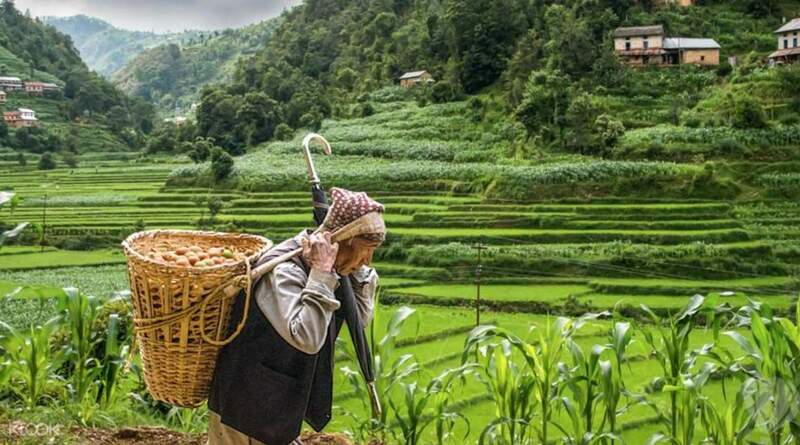 After breakfast, you'll be led on a scenic trek down to the Nerawi town of Dhulikhel, passing through farming terraces, picturesque rural villages and stunning panoramic views. This tour is available in both English and Chinese language. Please specify your preferred language at check out (a minimum of 2 guest is required for Chinese tours). Don't forget to bring a camera, put on sunscreen, and gear up in hiking shoes! Sunglasses and hats are recommended too. The view from Nagarkot was surreal. The sunrise was awesome as well. Thats a must-see! No restrooms at the viewing deck area, fyi. And then we went to a hotel to eat breakfast. The view there was great as well, food was ok. Trek - the first part was exciting, youll see the local villages and meet the people. The last part of the trek is just a dusty road. But overall I would recommend going to Nagarkot, especially if you do not plan to do long treks in Nepal. Lastly, Klook fee does not include entrance fees - 640NPR in total. The view from Nagarkot was surreal. The sunrise was awesome as well. Thats a must-see! No restrooms at the viewing deck area, fyi. And then we went to a hotel to eat breakfast. The view there was great as well, food was ok. Trek - the first part was exciting, youll see the local villages and meet the people. The last part of the trek is just a dusty road. But overall I would recommend going to Nagarkot, especially if you do not plan to do long treks in Nepal. Lastly, Klook fee does not include entrance fees - 640NPR in total. 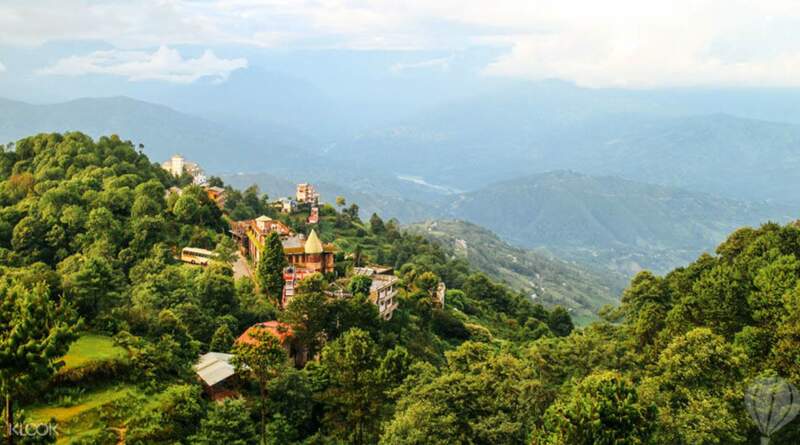 This tour lets you witness an awesome view of the sunrise, as well as the Himalayas. The Himalayas were still pretty far from the view point, but you’d have the chance to take a closer look at them at the hotel where you’d have your free breakfast. There were 2 entrance fees that were needed to pay, which totalled 640 NPR. The hike was mostly “downhill” so it’s not so exhausting. Along the way, you’d still see stunning views of the Himalayas, as well as the nearby hills, towns, terraces and the rural Nepalese life. The last parts of hike was not so fascinating though as you’d just pass through a dirt road with less fascinating views. But don’t let this disappoint you. This is overall a nice tour! This tour lets you witness an awesome view of the sunrise, as well as the Himalayas. The Himalayas were still pretty far from the view point, but you’d have the chance to take a closer look at them at the hotel where you’d have your free breakfast. There were 2 entrance fees that were needed to pay, which totalled 640 NPR. The hike was mostly “downhill” so it’s not so exhausting. Along the way, you’d still see stunning views of the Himalayas, as well as the nearby hills, towns, terraces and the rural Nepalese life. The last parts of hike was not so fascinating though as you’d just pass through a dirt road with less fascinating views. But don’t let this disappoint you. This is overall a nice tour! Good service by a local tour and guide. Pick up at the hotel on time to catch sunrise at the hill. Although breakfast at the hotel was not so good, Himalayan range view super stunning from there. After that we went trekking we were told that the distance is around 5 km. but it is actually 9 km. from my GPS tracking watch. By the way overall is brilliant!!! This is recommended. Good service by a local tour and guide. Pick up at the hotel on time to catch sunrise at the hill. Although breakfast at the hotel was not so good, Himalayan range view super stunning from there. After that we went trekking we were told that the distance is around 5 km. but it is actually 9 km. from my GPS tracking watch. By the way overall is brilliant!!! This is recommended. Certainly, the highlight of my trip. Caught the sunrise, did an easy hike up (our guide Ram was VERY Patient — he did Not hurry us when we stopped to admire the view/ were slow because we were unfit), interacted with the locals, and saw many cute animals! It was an experience like no other. Would strongly recommend this to anyone. Certainly, the highlight of my trip. Caught the sunrise, did an easy hike up (our guide Ram was VERY Patient — he did Not hurry us when we stopped to admire the view/ were slow because we were unfit), interacted with the locals, and saw many cute animals! It was an experience like no other. Would strongly recommend this to anyone. We were quite lucky with the weather - so we had a very nice sunrise with clear skies. Then we had a good breakfast in a nearby lodge. Even I am totally untrained - I think the hike was very easy - slighty downhill. No challenge for people who like hiking. We were quite lucky with the weather - so we had a very nice sunrise with clear skies. Then we had a good breakfast in a nearby lodge. Even I am totally untrained - I think the hike was very easy - slighty downhill. No challenge for people who like hiking. A nice way to explore Nepal outside of Kathmandu, Nagarkot is close enough and the walk is quite nice - pity it was cloudy when we got the for the sunrise, but everything else was great! A nice way to explore Nepal outside of Kathmandu, Nagarkot is close enough and the walk is quite nice - pity it was cloudy when we got the for the sunrise, but everything else was great! The travel agent came to my hotel before a day of this tour, and confirmed the tour plan and any special requests (e.g. time, food, any other places wanna visit). The flexibility was really good for individual traveller. The tour guide is very reliable and approachable, also well experienced at trekking and hiking activities. We had a very good communication during whole trip. He took care of travellers patiently during whole trip. I had a very good time to explore Nagarkot, also met many local people. Highly recommend, but make sure wearing a pair of good sport shoes!! The travel agent came to my hotel before a day of this tour, and confirmed the tour plan and any special requests (e.g. time, food, any other places wanna visit). The flexibility was really good for individual traveller. The tour guide is very reliable and approachable, also well experienced at trekking and hiking activities. We had a very good communication during whole trip. He took care of travellers patiently during whole trip. I had a very good time to explore Nagarkot, also met many local people. Highly recommend, but make sure wearing a pair of good sport shoes!! The guide picked me up at the hotel at 4:45 in the morning and drove us up the hill to see the sunrise. After having breakfast, we hiked about 12KM in 4 hours. Overall it is an easy enjoyable hike. The guide picked me up at the hotel at 4:45 in the morning and drove us up the hill to see the sunrise. After having breakfast, we hiked about 12KM in 4 hours. Overall it is an easy enjoyable hike.